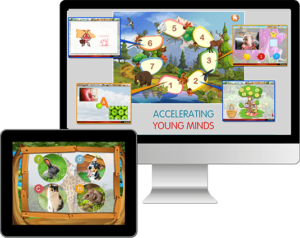 AYM provides enriching, personalized learning in the 11 learning platform items. *With your free trial, you will receive the first 2 weeks absolutely free! After your trial expires you will be billed the regular monthly price of $19.95. If you decide to cancel anytime before your trial expires, you will not be charged. 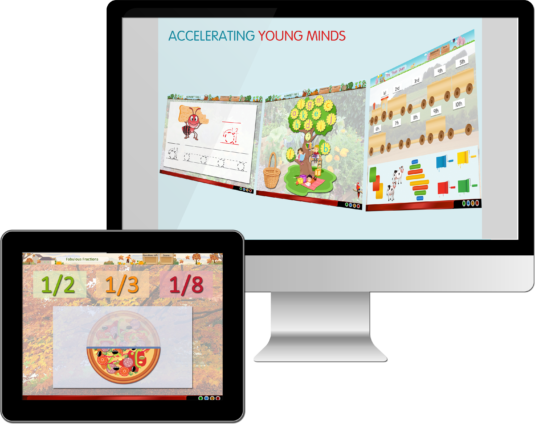 AYM Elementary Product includes access to a combined 300 learning activities in language, math, core standards and cognitive learning. Upon registration you will be able to choose the grade level (k-2) and category (math or language) you would like your child to start. If your child finishes a Level, and your subscription is still active, they are automatically moved on to the next level and category without any need for you to intervene.